Welcome on board the boat Remus from which you will enjoy the beauty of the landscape and the evocative sight of the town seen from the lagoon. It might be possible to watch the fishermen working on board their vessels. The lagoon is home to the project life, funded by the E.U. whose aim it is to protect and preserve important aspects of the environment and its species. The lagoon has the shape of a trapezoid, whose bases are the coast and the promontory of Argentario and the sides are two strips of sand, called Tomboli, the Feniglia and the Giannella. 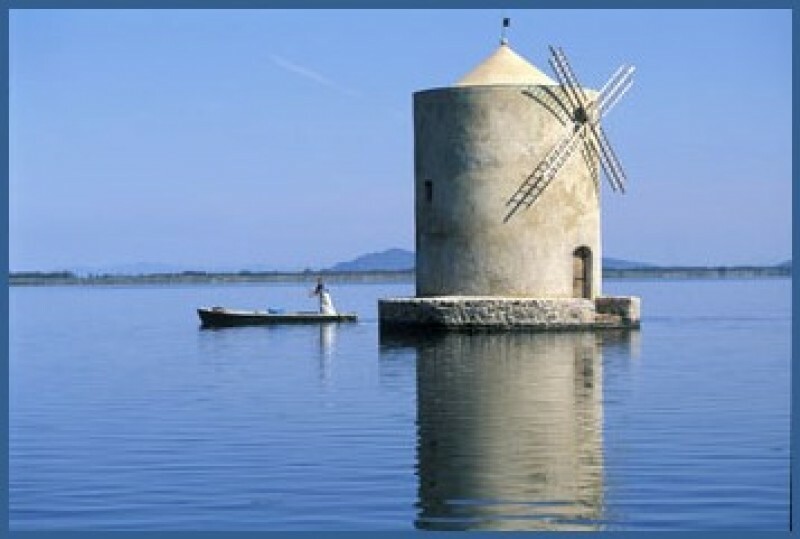 Inside it is divided in two parts: The Eastern and The Western lagoon with an isthmus in the middle, partially natural and partially man made, where the town of Orbetello lies.